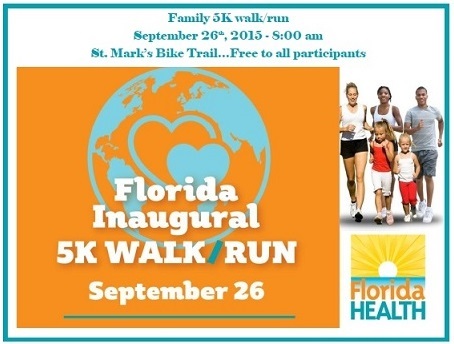 Florida’s Department of Health is celebrating World Heart Health and our Healthiest Weight campaigns by putting on family friendly walk/runs in every county in Florida on September 26th. Please bring the whole family and enjoy this free event. All levels of skill and abilities are welcome and families are encouraged to participate together. Afterwards enjoy walking through historic Saint Marks. Explore the San Marcos Fort. or have a picnic at the park and watch all the boats. Just print and sign the Registration and Consent Form (193KB .PDF) and bring it to the race. On site registration is also available. 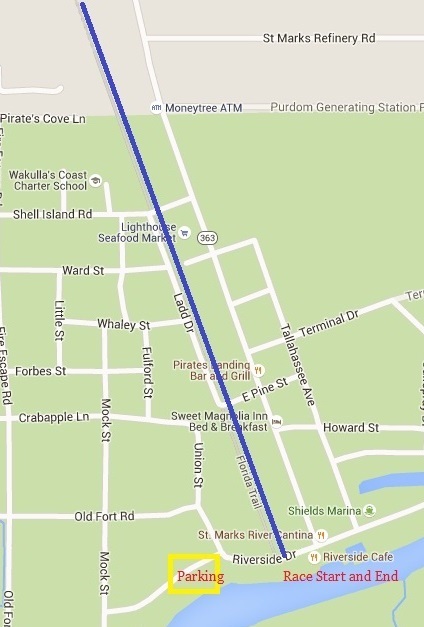 Take a Right on to Riverside Drive, Parking is 200 yards ahead.